I don’t normally write much about pop culture in this blog, but I am feeling that I must say something now. 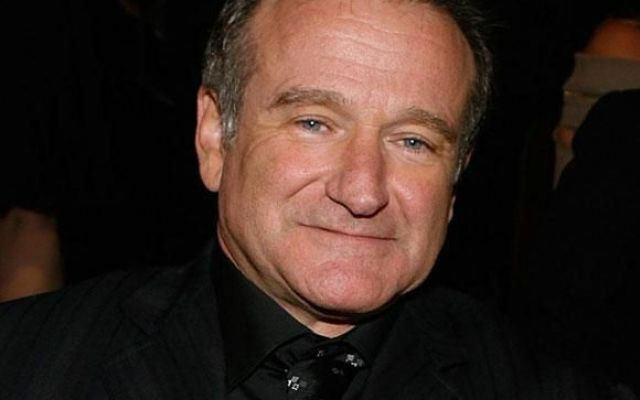 There is a lot of information and opinion going around about Robin Williams’ death yesterday. Some people are recycling facts and lists so that we can recollect the best moments of his career, some are paying loving homage, and some are expressing bitterness that he took his own life. I’d like to say a few words in tribute. The most striking character Robin Williams ever played in my mind was John Keating in Dead Poets Society. In him, I saw a human so raw and so real that I found it hard to comprehend that Williams hadn’t always been Keating. As a fellow artist who has, at times, felt misunderstood and out of place, I saw a story that touched my heart. I also recognize the bittersweet irony of Robert Sean Leonard’s character taking his life because he felt the world would never allow him to be who he was meant to be. In the same vein, One Hour Photo’s Sy Parrish was so quietly terrifying and believable that we didn’t want to accept that it was our beloved Williams. Still, we followed him into the deep recesses of the character’s mind. Perhaps it was his personal dark shadow that made it a little too easy to play Parrish. The truly terrifying thing is that we genuinely can’t always see the pain in a loved one’s eyes. We see the slapstick facade they put on to entertain, but the darker side stays hidden, pleading silently that someone will probe just deep enough to realize that something is truly wrong. Unfortunately, most of us are not equipped to see that agony for what it is. Robin Williams was one of those actors who did so much more than play a part. He brought intricacies out of his characters that perhaps the writer didn’t even know were there. Williams played them all like it was second nature because he let himself be vulnerable to every part of the character. He didn’t just play the character’s appealing parts, he played every side. What we didn’t know about Williams could fill caverns. Will we ever know why? Do we want to? Can we be satisfied by simply thanking him for baring his soul and letting the rest go? I will say it. Thank you, Robin Williams, for being that inspiration to me and so many people. If I ever forget to sound my barbaric yawp again, may your voice come back to haunt me and remind my soul that the best way to show this world who I really am is to let it fly, no matter how off-kilter, how screechy, how weak or strong, how awkward, or how incredibly beautiful it might sound. To be vulnerable is to be true, and it’s not always pretty. Thank you also to my mom for reading to my sister and me every night. Thank you to my dad for showing us the fruits of imagination. To my sister, I know you sacrificed your thug reputation spending hours locked in your room during read-ins with me. I love you. Thank you to my mom’s lifelong friends that drove hours to visit and, instead of catching up with her, sat patiently, reading my 152-page, handwritten, novel. Thank you to my early childhood teachers for giving me admiration for the written word, of loving them so tenderly that I knew from a very young age that words would always be a huge part of me. My gratitude knows no bounds. His death jarred me, too. I treasure many of his movies and performances, and we all lost something when he took his life yesterday. The world is a little less bright. Thank you for sharing your thoughts. It helps a little that we can feel our pain collectively. So sad. He really was an inspiration to so many. Absolutely. Thank you for reading and posting. Gratitude is so beautiful. I need to practice more of it. Beautiful, Becky, thank you. I used to see him at the SFO airport semi regularly – for some strange reason my family often flew at similar times as a child. I always remember him looking kind of sad, forlorn, in that big open space surrounded by busy people. He was an amazing artist and I too, thank him for his work and his inspiration. It blows my mind how alone we can feel in a world full of loving people and inspiration. It saddens me to realize that sometimes our minds can trick us into thinking it’s not enough. Thank you. I appreciate you reading and posting. What a beautifully written tribute! We will srely miss him! I am sad just knowing the anguish he must have been feeling in the moments/months before he made that tragic decision. Thank you, Linda. I feel the same way – thinking about his anguish and wondering what could have changed the outcome. I only hope his death results in some positivity and perhaps even some inspiration.